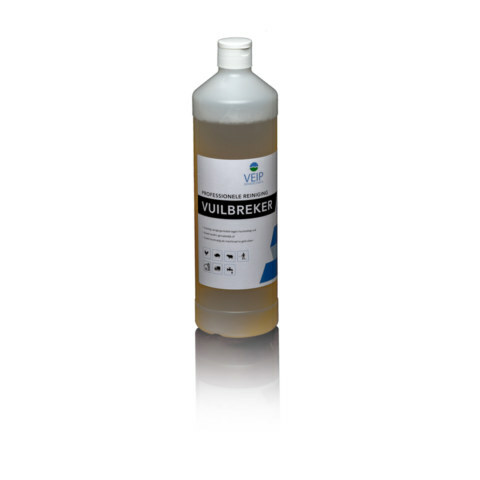 Vuilbreker is a highly concentrated alkaline cleaner to remove stubborn dirt from floors, walls and other surfaces. It is mainly used in the cleaning of stalls, cages, pens, etc. in the veterinary industry and animal care. 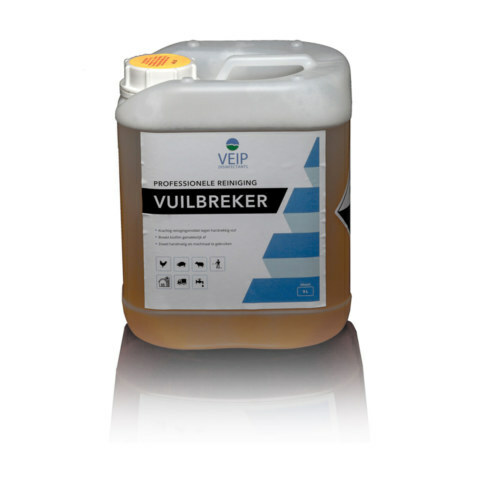 Vuilbreker removes with no hassle caked organic contaminants, such as food residues and manure. Vuilbreker has a strong degreasing effect, making it eminently suitable as prewash cleaner for animal homes. The cleaner is not aggressive to most materials and can be applied either manually or mechanically. It is used to loosen debris without altering the underlying material and the paint is not affected. Before use, read the label and product information.